Geneva - The Euro-Mediterranean Human Rights Monitor condemns a Bahraini court's decision to imprison three relatives of the Bahraini opposition activist Ahmed Al-Wadai, head of advocacy at the Bahrain Institute for Rights and Democracy (BIRD), on the basis of his opposition’s political views. 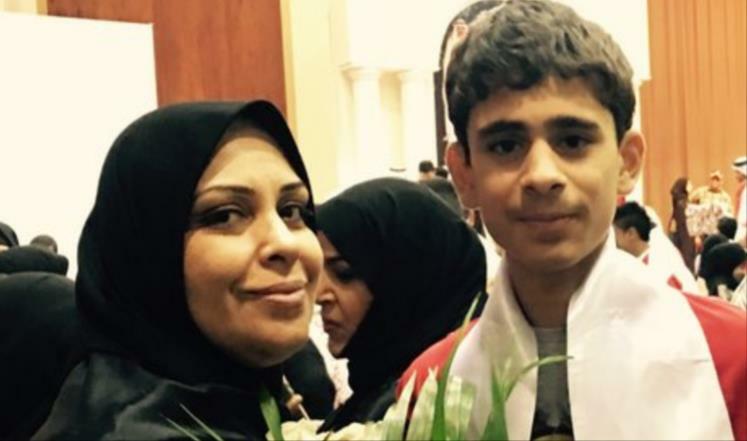 On October 30, the relatives of al-Wada'I, including his mother in law Hajar Mansour, and his brother-in-law, Nizar al-Wadai, were on trial and handed down a sentence of imprisonment for accusations of planning to plant a fake bomb in southwestern Manama. Mahmoud Rezeq, Alwadai's relative, was sentenced to one and a half month in prison for possessing a knife. However, al-Wada'i said in a press statement that his relatives were convicted on the basis of confessions gained under torture and without regard for their most basic human rights. Alwadai' confirmed to the Euro-Med team that the case against his relatives came as a result of his political views opposing the Bahraini authorities and his work in the field of human rights. The Bahraini prosecution did not provide any real evidence that condemns the defendants, while international human rights reports confirmed the Bahraini prosecution's reliance came based on secret sources to charge the relatives of Alwadai' in addition to reliance on confessions obtained under torture. Euro-Med expresses its deep concern over the practices of the Bahraini authorities in confronting opponents and their relatives, especially when they are arrested without legal justification. The Euro-Mediterranean Human Rights Monitor finds these unfair judgements to be part of an organized campaign by the Bahraini authorities against dissidents, in clear violation of international law and human rights covenants which guarantee the right to freedom of opinion and expression. Euro-Med calls on the Bahraini authorities to respect international law and international covenants, which guarantee the freedom to adopt political opinions without restriction or prosecution, and to give citizens full freedom to express their views and beliefs.